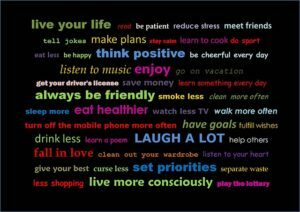 Goals – What Are They Good For? I’ve been reading Drive: The Surprising Truth About What Motivates Us , by Daniel H. Pink. I expect I’ll be writing an article about Motivation when I’m done with it. But while the book does question the value of setting goals, I am still a big fan of them. In Drive, the studies seem to discount the value of external drivers toward accomplishment. And I agree that externally motivated goals are not the way to go. But that’s not how I teach you to write goals. A well-written goal must include your internal motivation, your experience of what your life will be like when you have accomplished the goal. Because while we benefit from external rewards. We are driven by our internal needs. Your goals need to reflect and express your life’s purpose. And when well-written, I believe that goals allow us to create our lives with volition. When you set a goal, you are by its very definition determining that you are going in this direction and you are not going in that direction. The more specific the goal is, the more defined your direction and the more options you have eliminated. I believe that’s a good thing. Very often people become completely paralyzed because they have so many choices, they don’t know where to start and so they just don’t … start…. In my experience with clients and in my own life, it is better to start down a road in a specific direction and change your mind than it is to wait until you know for sure. Very often, if you begin to move in a particular direction, you can discover information that you would never discover if you wait. Finding out that this path is the wrong path is extremely useful information. 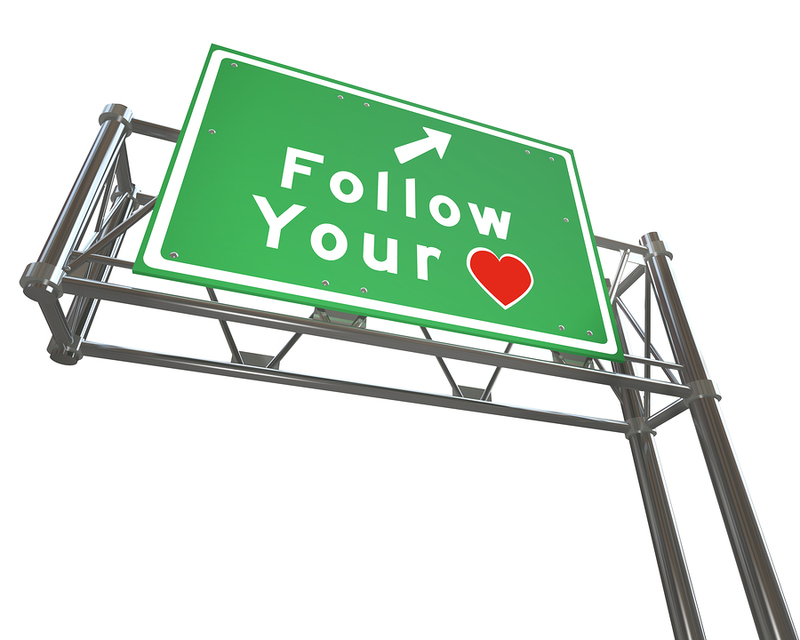 You can decide what you don’t want, which can lead you to more specifically determine what you do want. And you will develop skills in the process that will greatly enhance your abilities to create success once you clarify your path. I don’t believe there are any mistakes in life. Because as long as you are in a learning process you will benefit from your experiences. And your experiences will feed the next choice. I have often “accidentally” discovered an amazing opportunity that I would never have seen had I been waiting for the “right” path. So, in terms of goals – when you are focusing on your goal, you are actually expanding your opportunities in that direction. And since by the very action of setting a goal that you believe is achievable within the time frame you’ve set – you are setting the stage for the achievement of the goal – because you expect it. 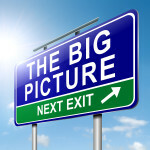 I look at goal setting as placing your order with the Universe. You are inviting the Universe to align with your intentions and support you in manifesting what you want. You’ve heard the expression – be careful what you wish for, you might just get it. That’s what this is. And it’s better to place a specific order than a general, vague order. Think about it. What if you went into a restaurant and said to the waiter, “Hello, yes, I’d like some cow, please.” Do you know what you’ll get? You might get a steak, but you might get tongue (yech!). On the other hand, if you say to the waiter, “I’d like a filet mignon, with a baked potato, sour cream on the side, and an order of steamed broccoli.” You’re more likely to enjoy that meal. 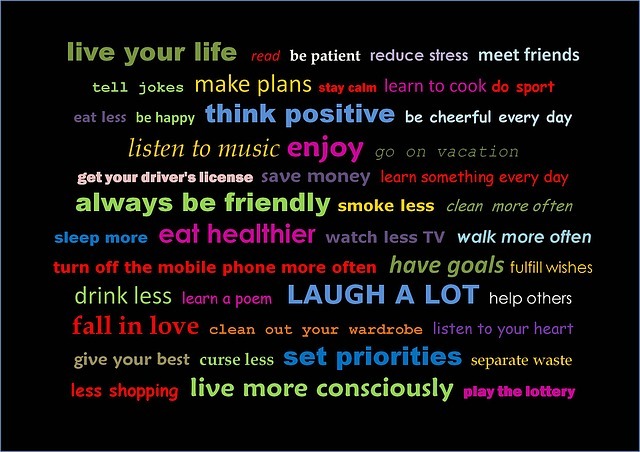 So, what are your goals for 2013? And does this help you begin to think more specifically and clearly? Please share your insights! 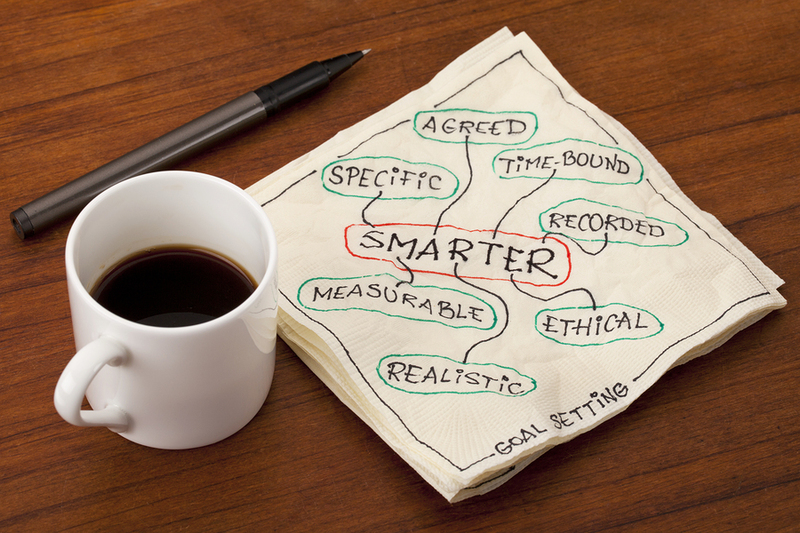 https://artists-edge.com/wp-content/uploads/2013/01/bigstock-Smarter-Goal-Setting-13879646.jpg 600 900 Debra Russell https://artists-edge.com/wp-content/uploads/artists-edge-logo_blur-hard-drop-smaller.png Debra Russell2013-01-22 17:15:542016-08-08 07:23:14Goals - What Are They Good For? 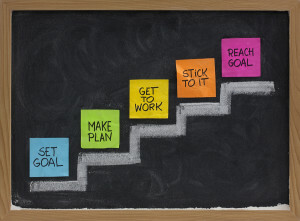 In Part One of this article – Goals and Actions and Strategies – Oh, MY! – I clarified the differences between goals, actions and strategies and talked about why that is a difference that makes a difference. In this article, I’m going to explain how you can design a plan that employs all three aspects. In my experience, most people have a focus level that is their comfort zone. There’s the big picture thinkers and the detail-oriented folks. Which are you? You are excited by big goals for the future. You love new ideas and starting new projects, but when you get bogged down, you just go on to start another project. You have little patience for the details – the details seem hard and even boring. 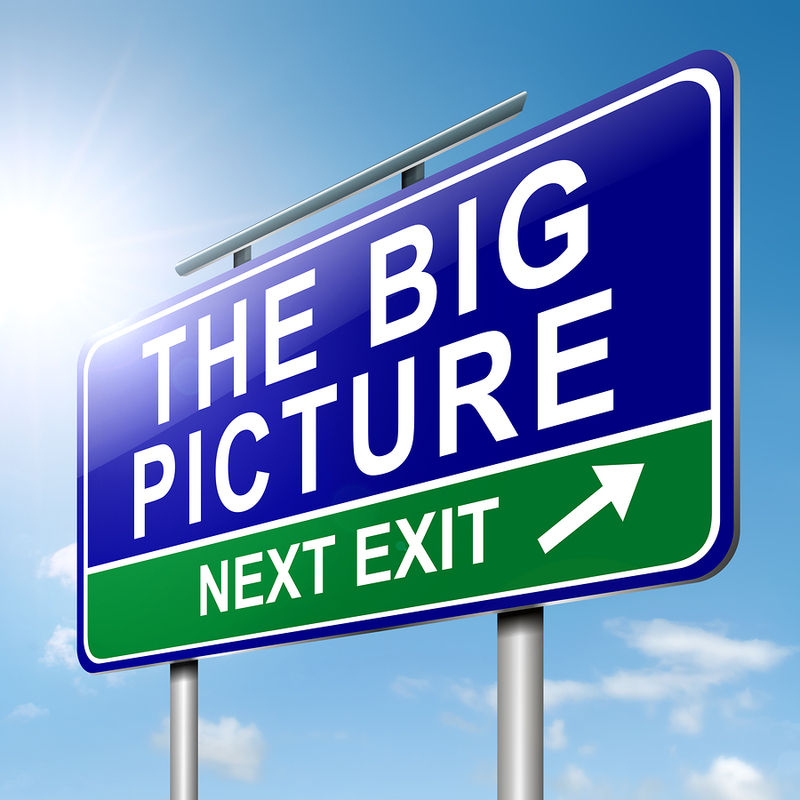 You are often unhappily surprised by the outcomes of your big plan, because you forgot a simple detail. You make a lot of big plans, but don’t seem to get very far in executing those plans. And usually those big plans are very sparse on the details. You love to fantasize about your big success, but when you look around, you don’t understand why you’re not there yet. You love to feel busy. Thinking about long term goals feels uncomfortable, even frightening. You have lots of lists and every time you listen to an expert or read a book you add lots of items to those lists. You can tend to over think things and feel the need to get all the details and plans perfect before taking action. You work really hard all day long, but when you look around, you don’t understand why you feel like you’ve gotten nothing accomplished. I don’t think either focus level is right/wrong or good/bad. Actually, in order to be successful in life and in business, you need to be able to pull focus. You need to have some facility with both levels of thinking which will enable you to think big, create useful plans and then implement those plans to take consistent and productive action. Now, open your eyes and write down everything you saw. Do it in bullet point form. Create a brainstormed list of all you want to have and be. 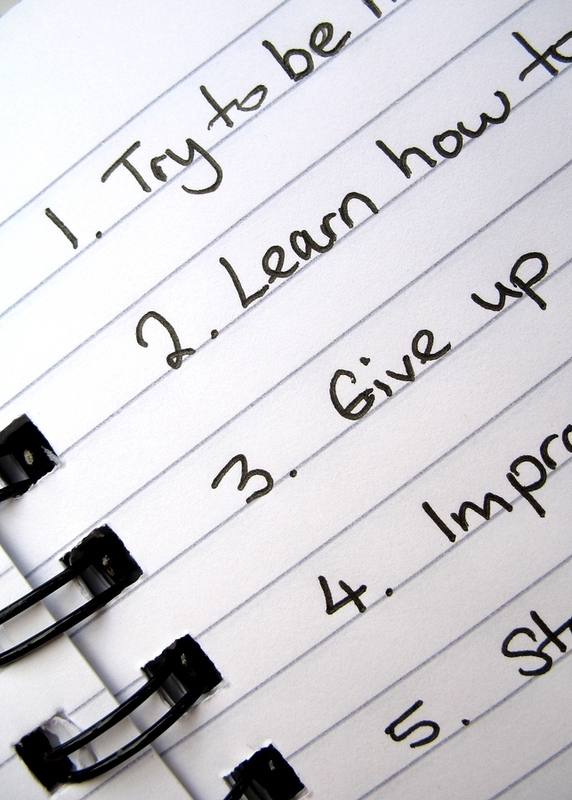 Go through and turn each bullet point into a specific, measurable goal with a deadline. Group those goals together by category (such as fitness and health, business, relationships, etc.). Within the business category – you can use the 5 Hats of the Business Owner to group your items in more specific categories. If you see other goals that need to happen in order to create that goal, add them to your list. Then break out the objectives and action steps for each goal. 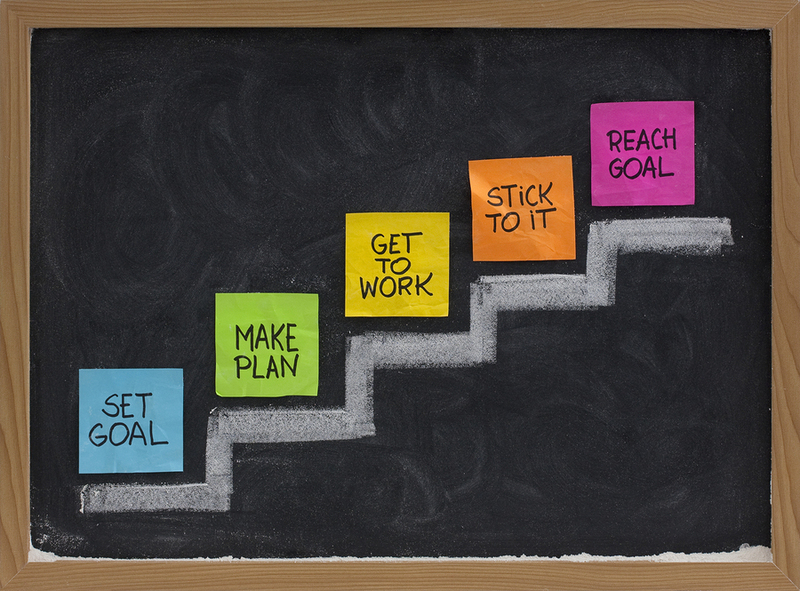 You will end up with a specific, step-by-step actionable plan for each goal. Now if that feels overwhelming, don’t do it for each and every goal. But do it for the first group of goals that put you on the road to those longer term goals. What are the goals that need to be accomplished in the next 3-4 months? Develop a plan for each one of them and then get busy making them happen! If all you think of when asked “What do you want?” is all the stuff to do, all the steps to take, all the different things you’ve been thinking about, “If I only do these things, I’ll be successful.” Then start there. Make a big brainstormed list of all the actions, all the steps, all the ideas of actions, all the things people have told you that you have to do. Make a big list. Now I recommend doing this in excel, where column A is your long list of stuff to do and each action item is in a separate row. In Column B, put the categories of your life each action falls into (such as fitness and health, business, relationships, etc.) and again, you can use the 5 Hats of the Business Owner to break out the work category further. Then, use the sort function in Excel to sort by category. Cut and paste the sorted list into a separate worksheet for each category. One category at a time, ask yourself, which actions go together? And group them together. And then ask yourself, if I do these 6 actions that seem to go together (for example) what will I have? What will that give me? Write a specific and measurable goal or objective to express that. Put a deadline on that goal and add start dates and completion dates on each action. Think about all those goals together, and create a vision of what that life looks like. And here too, if creating a full-fledged plan with start and end dates on every action feels overwhelming, just work with the goals for the next 3 months. 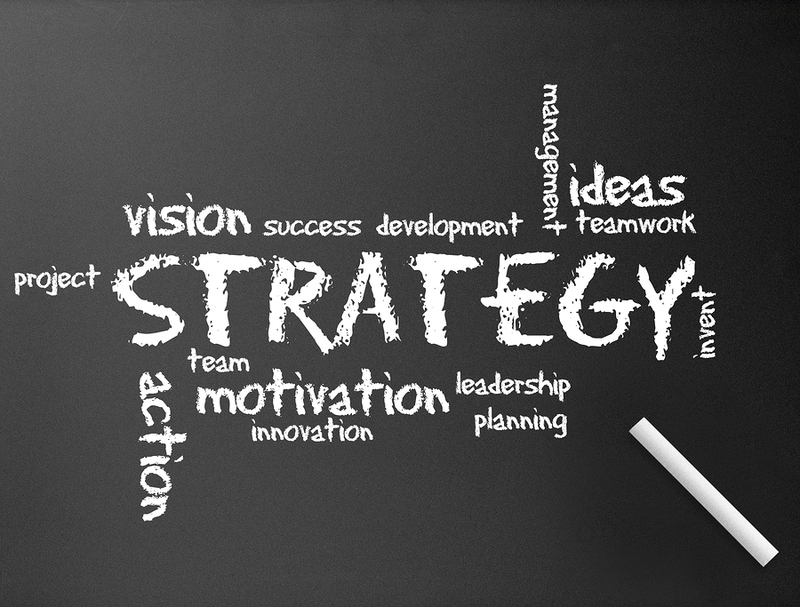 Where do Strategies fit in? Your action plan might include studying Cuban and Jazz music styles in order to help you expand those musical influences. It might also include taking a songwriting class or studying recording techniques. It might include participating in a songwriting circle to get ongoing feedback on your writing. Without that strategy, your goal and your actions might be very different. So, start with creating a few strategies and test them out. Apply them to your goals and action plans and see how they change. And work with them for a few weeks to decide if you like how the strategies are affecting you and whether you want to keep them or change them. It’s also an interesting question to analyze what strategies are you currently using, unconsciously? But that’s a subject for another time. What are your goals, actions and strategies? I’d love to hear them! I was having a conversation with a client the other day. He’s an engineer and is always working on cutting edge, invention type stuff. He said that setting goals doesn’t work in this type of design. Because when you are inventing something for the first time, you don’t really know what you’re going to end up with. And that it rarely looks like what you were thinking about inventing when you started out. I suggested that you had to at least have some general framework of what you were creating. Even if only in terms of a problem you’re looking to solve, otherwise how could you even begin? I suggested that setting an umbrella goal, a goal that determines the general direction is better than no goal at all. And if you up with something different than you expected, that’s all good. It doesn’t invalidate the original goal – you just assessed and adjusted as you proceeded down your path. That’s step 6 in the S.P.E.C.I.A.L. Roadmap to Success! After we finished our session, I got to wondering about this and thought, perhaps that’s one of the challenges for artists as well. If you’re sitting down to write a piece of music, do you know what you want to end up with? Or is discovering the music part of the process, just like discovering a new invention? And even if you don’t know what you’re going to end up with, don’t you need to start with at least a framework? In music, don’t you at least start with a key, a mode? Do you decide the rhythm or B.P.M.? With a painting, do you start with at least the size of the canvas? What medium you’re going to use? The style? Don’t you have to start with some general idea of what you are creating, even when you are inventing something from scratch? This process is true with all goals, not just in design but in all areas of your life. You are inventing something from nothing. You are bringing choice and direction to your path in the present and creating the vision of your life in the future. The pursuit of your goals is always an invention of something you didn’t have before. And you won’t really know what you have until you are there. Because you don’t know what you don’t know. Goals are Always a Leap of Faith! But that doesn’t mean you don’t set Goals, specific and measurable. As you work through the process of birthing those goals, you will hone and sharpen them, even completely rewrite them. But if you don’t set specific ones now to the best of your ability, with what you know to be true now, then you won’t get to work bringing those goals into fruition. So what if it changes as you go? That neither lessens the validity of the goals you set today nor undermines the life you are creating for your future. It’s just part of the process. What are your leaps of faith for 2013? https://artists-edge.com/wp-content/uploads/2012/12/bigstock-Follow-Your-Heart-to-future-of-21680120.jpg 720 900 Debra Russell https://artists-edge.com/wp-content/uploads/artists-edge-logo_blur-hard-drop-smaller.png Debra Russell2012-12-12 11:33:202016-08-08 07:53:44Are Goals Really Necessary? I was on the TAXI Forum and I came upon this thread “Post your Goals after attending the Rally” (the yearly conference for TAXI Members). While reading through people’s responses to the question, I noticed that most posts were a combination of goals, actions and strategies, with the posters conflating their intended actions, strategies and goals as if they were all goals. I believe that this confusion can actually create some of the struggles and road blocks that many of you experience as you pursue your dreams. So, in this article I will explain the difference and why it matters. Strategies affect how you prioritize each project in the larger scheme of things as well as which options you choose in your pursuit of your goals. “Basic action theory typically describes action as behavior (emphasis added) caused by an agent in a particular situation. 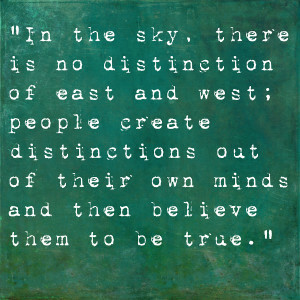 The agent’s desires and beliefs (e.g. my wanting a glass of water and believing the clear liquid in the cup in front of me is water) lead to bodily behavior (e.g. reaching over for the glass). In the simple theory (see Donald Davidson), the desire and belief jointly cause the action. Michael Bratman has raised problems for such a view and argued that we should take the concept of intention as basic and not analyzable into beliefs and desires. 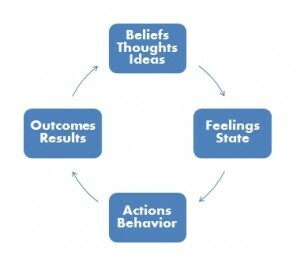 In Cognitive Behavioral Therapy, it is your beliefs about yourself, the universe and your place in the universe, as well as your emotions induced by your beliefs which, at a minimum, color your actions and more likely completely determine which actions or behaviors you choose. 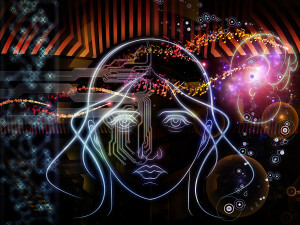 Although these choices are generally occurring in your unconscious mind. These behaviors then lead, seemingly inevitably, to your outcomes. So, a goal is an outcome, an objective. It is the result you seek. But very often when asked, “What are your goals?” People respond with their actions and strategies. I elaborate on how I design goals with my clients in “Goals and Success”. Well, if you are only focused on WHAT to do, without a clear picture of the PURPOSE, it is very easy to become confused, discouraged and even completely derailed. 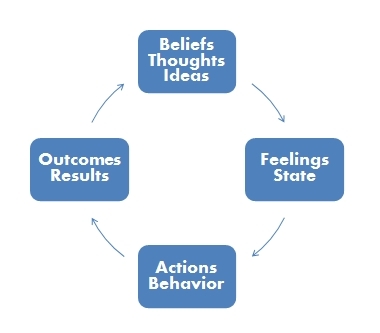 If you don’t know WHY you are taking these actions, if it gets hard to take the actions or they don’t work out they way you think they will, then you may give up entirely. But when you are clear about your objective, your WHY, then if one action doesn’t get you there, you simply find another way. You think about your strategies. You brainstorm your options. You ask for help and advice. But if you are only thinking in terms of actions – then what happens when the one idea you had of something to do doesn’t work out? Well, what else is there to do, but quit? Having a strategy may help you think of other things to do, but how do you evaluate which are the right things to do and when is the right time to do them, if you don’t know what you want!?! Or as one gentlemen said to me in a workshop years ago – if I don’t know where I’m going, how will I know when I don’t get there? If you still aren’t sure whether you’re thinking in terms of goals, actions or strategies – share them below and I’ll be happy to help you figure it out! In my life, I’ve done a lot of work with the critic’s voice, learning techniques and getting quite good at transforming my inner critic to support and inform my forward progress (rather than criticize and impede it). I’ve gotten to the point where, these days, I rarely hear a critical voice in my head. And in that silence I’ve become aware of a different voice – I call him “the devil on my shoulder” or “rebel without a cause.” I grew up watching the old 1940’s Bugs Bunny cartoons on Saturday mornings. So, the image of the angel on one shoulder and the devil on the other has stayed with me. But this is not the devil telling me to hurt someone or retaliate for some slight, real or imagined. No, my devil tells me to do things that are bad FOR ME. Does this sound familiar to you, or am I the only one? I’ve spent the last few months, first becoming painfully aware of how much this devil gets in my way of having the life I want, the body I want, the income I want. This devil actively advises me counter to my own best and highest interest. And about a month ago, I decided, I’ve had enough. It’s time for this devil to get the hell off my shoulder! One thing I know, when dealing with procrastination, there is always an underlying issue. And the only way to stop procrastinating is to deal with that! So, I started working with the devil and I thought you might be interested in the techniques I used and the discoveries I made – in case you’ve got one on your shoulder! 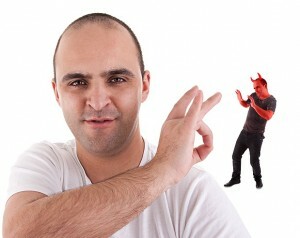 What is the underlying belief that drives the devil? What master does he serve? And then I re-instituted writing morning pages. If you’re not familiar with morning pages, it’s an exercise from The Artist’s Way. I faithfully wrote morning pages for most of the 10 years I was ill, but have dropped the habit over the last few years. So, every morning, I wrote. I didn’t right about the question, necessarily, because morning pages are 3 pages of whatever. You write for three pages – and you just write – whatever comes out of the pen. But I did remind myself of the question before I started writing. Just threw it out there. And then I wrote. I did this every morning for several weeks. I discovered a few things along the way. I was reminded of what a tremendous stress reliever the morning pages are. I was reminded of how they cleared the space for me to have a more productive day. I started having and remembering more of my dreams and writing about them in the morning pages. Very little of this directly addressed the question or issue at hand. But I was clear I was working through something – because those dreams were wild! And then one morning, while in the shower, I saw it. There were really two beliefs driving the devil. One was “I don’t want to become my Mother.” This surprised me, because my mother and I are quite close now. But, growing up I definitely had issues with Mom. We fought like cats and dogs. Mom was the super Mom of the 1970’s. She worked full time, she cooked dinner every night, and she did our laundry. All my friends loved her because she truly cared. But what I saw was a woman overworked, always busy and tired, doing things for everyone else but never playing and very rarely getting anything for herself. And I didn’t want to be that way! In my tweens and teens especially, I very avidly did NOT want to be my Mother. As an adult, I’ve gotten over it, of course. I have tremendous respect for her strength and resiliency. In fact, I moved in with my parents, largely to support Mom as she cares for my father through his illness. And yet, that motivation, “I don’t want to turn into my Mother!” was driving the devil on my shoulder to give me all kinds of bad advice. The other belief is even older. My family is a very high achieving family. Both of my brothers are genius smart. And I could never quite do as well in school as they did, no matter how hard I studied. I’m no slouch academically, but I just wasn’t on their level. And no matter how well I did, there was always another level to get to, another area to work on to excel at more. And so when I worked hard, I was always expected to work even harder. And in a way, he’s right. Because no matter how much I accomplish today, there is always another project, more work, more stuff to do, right? So there’s never really a time when I’ve done all my homework and now I can go out and play. How do I kick this devil to the curb? Here’s what I decided – I need to play regularly – not when I’m done with my work or when I’ve been a good girl – but as part of my every day and every week life. And not play the way He says, but find ways every day to do things that feel good. For no other reason than that they feel good. And I need to take breaks intentionally and on purpose – even when there’s more work to be done. I need to find things that both are “good for me” and are fun and feel good. So, I’ve begun to look for ways to do that. How do you take good care of yourself? How do you make time to play and feel good? I’d love your ideas! What did I think I’d be able to accomplish, but didn’t, and what a) got in the way and/or b) did I choose to do instead? What worked and didn’t work, today? What were the choices I made and how do I feel about those choices? What could I have done differently? What resources did I use and what resources could I have used that might have enabled me to achieve more? What obstacles did I overcome and how did I overcome them? What am I proud of myself for and what I am I grateful for? As a result of these learnings what adjustments or changes am I going to implement tomorrow? If you approach each day and each challenge with the mind of a student, solidify the learnings and then apply those changes in the future, you will be able to rise to any challenge, adapt to any change and succeed in business and in life. What lessons did you learn today? Take it off the Plate! The Holiday Season can be so joyfully chaotic, can’t it? Parties and travel and family (with all the baggage that goes with that!). For many performers there are also holiday gigs and holiday gift promotions to promote on top of that. It can all be so overwhelming. So many things to do, so many demands on your time. Time management and project management systems are critical to your success at all times and I cover them elsewhere in the blog. Very often, when faced with unusually busy times, all of our time management skills fly out the window. So, this series of 5 blog posts will answer the question – How do I maintain my focus and my sanity in the face of chaos?